Akhil Akkineni's Mr. Majnu shooting schedules are progressing at a brisk pace in Hyderabad. The film initially planned for a release in December is now shifted to February 14 on the eve of Valentine's Day. Tholi Prema fame Venky Atluri is donning the director cap for the movie. 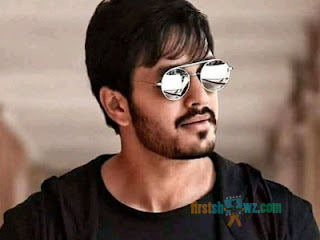 Nidhhi Agerwal who is romancing Naga Chaitanya in Savyasachi is pairing up with Akhil too in Mr. Majnu. The film's shoot took place in exotic locale in London, and we hear that 80% of the shoot has been completed. The latest shoot is taking place in Hyderabad, where few romantic scenes are being canned at a shopping mall. BVSN Prasad is producing the movie Sri Venkateswara Cine Chitra banner and Thaman is scoring the music. stick to this space for more updates of Akhil's Mr Majnu.